Today’s invitation in the Simple Play :: complex learning series is to try some play dough. Never made it before? Run out of ideas for something new? 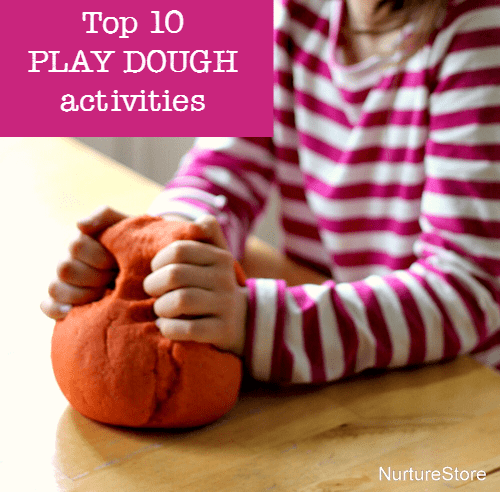 Here are my top ten play dough ideas ~ pick one and join the Simple Play challenge. 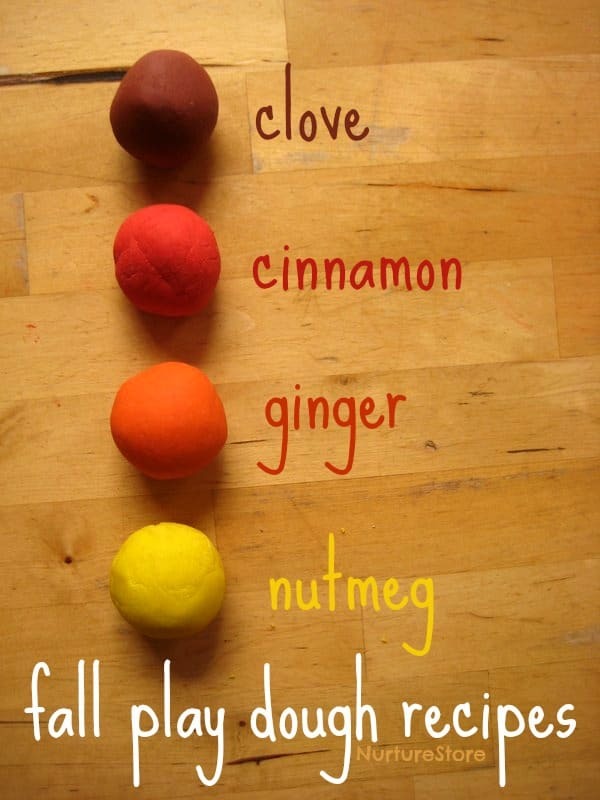 Here are some favourite fall play dough recipes, featuring autumn colours and lovely warming spices. 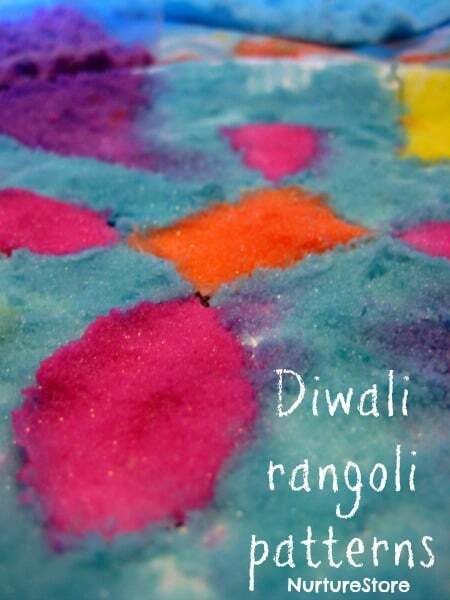 They’re so wonderful to play with, giving your children a sensory boost on colder autumn days. 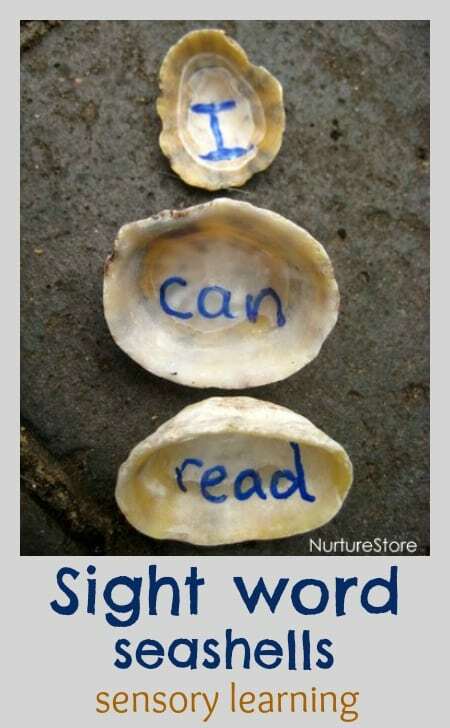 How do you help your children learn spellings? 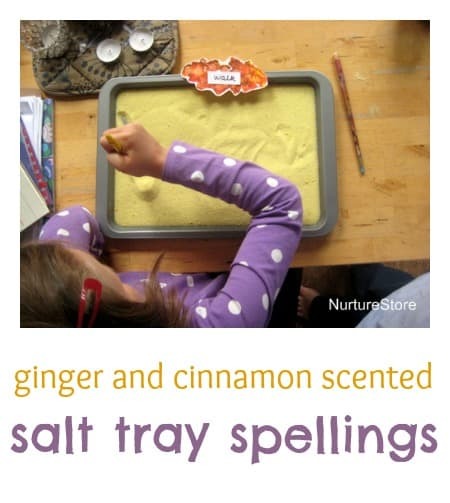 Here’s a multi-sensory idea to try: we’re making cinnamon and ginger scented salt and using it with our autumn leaf word tree, for learning that looks, smells and feels great! 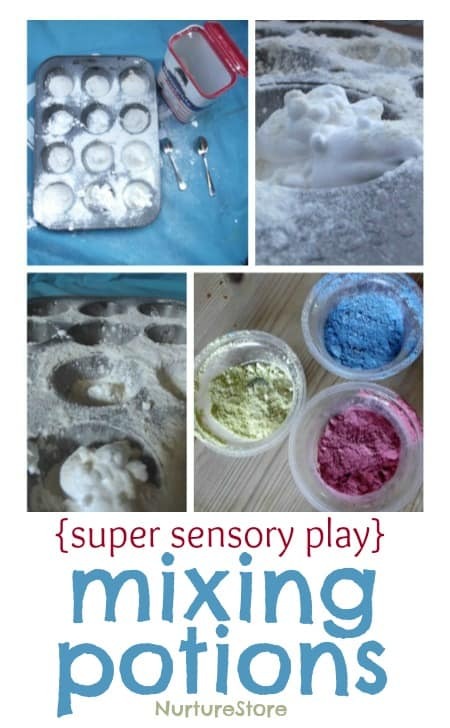 Kat from Creative Playhouse joins us today with a super simple sensory play idea that’s great when you have babies, toddlers or preschoolers playing together :: she’s mixing potions! 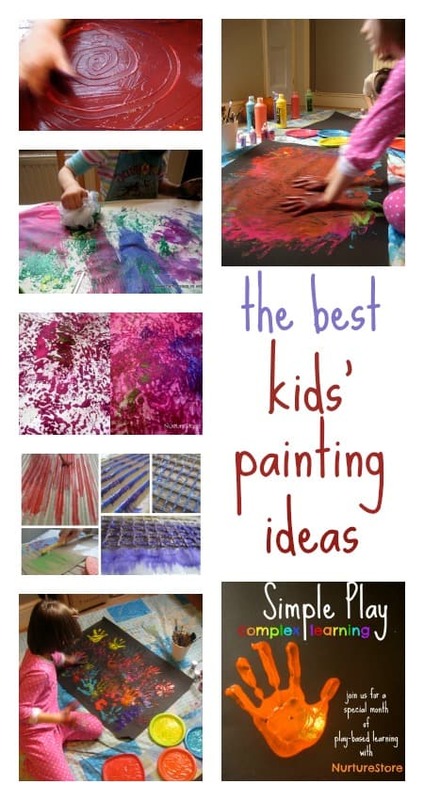 For day three of our Simple Play :: complex learning series, we’re taking a cue from a report in the US that opportunities for art can have a dramatic and positive effect on children’s academic performance, and we’re all about: paint!